COPENHAGEN—We should invent a name for this kind of thing—ghost brewing or reincarnated beer, something like that. It’s when a brewery revives an old recipe and tries to brew it to the standards of a lost era—often with ancient ingredients. 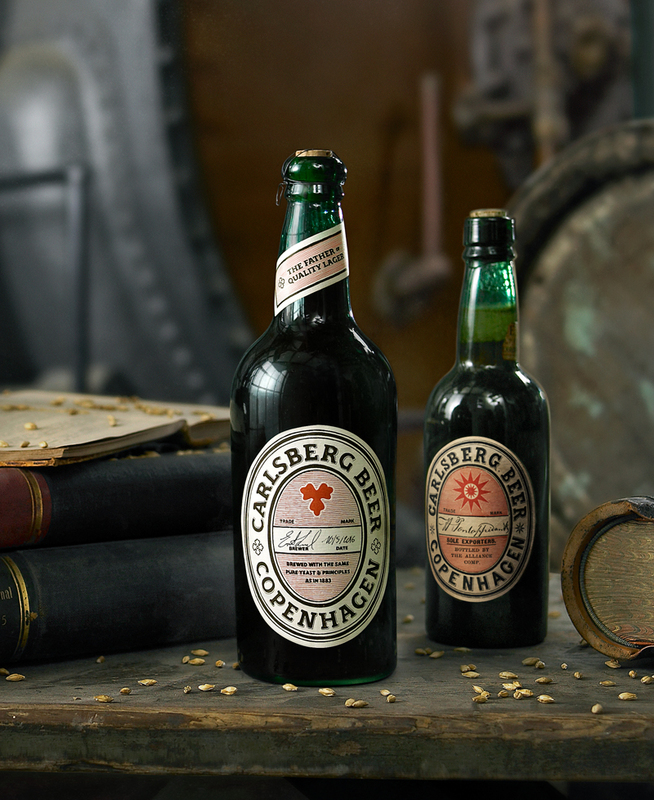 Recently, the Carlsberg Brewery ran through this exercise after successfully cropping yeast from a 133-year-old bottle and making an amber lager with heirloom barley to the 1883 recipe. Something interesting may be happening in Copenhagen. This is where Mikkel Borg Bjergsø started his Mikkeller empire, which now includes international collaborations, beer fests and Texas barbecue. It’s where Noma Restaurant got its start and launched New Nordic cuisine. Local breweries are hoping to extend the concept to beer, and the night before the Carlsberg event, I’d gotten to try one of the early entries into the New Nordic beer catalog—something that had been made via inoculation by hay. Not too far away, Finns make sahti, and Lithuanians their own version of farmhouse ales. Danes wonder if they can create their own idiom, too. Carlsberg’s “Rebrew” seemed to be a project to reintroduce Denmark’s local giant into the conversation. (The name suggests, not too subtly, rebirth and renewal.) It highlights everything the brewery holds dear—a connection to its own proud lineage, cutting-edge science and research and technical expertise. It also seemed to be the moment Carlsberg had chosen to announce its new plans to compete with the international players who were busily consolidating, growing and becoming more threatening all around them. Media from around the world—including me—were there for the spectacle, all on the brewery’s dime. Goblets of Rebrew were (slowly) poured from an oak cask and distributed. Men in suits (Brewmaster Erik Lund, CEO Cees t’Hart, and Foundation Chair Flemming Besenbacher) gave speeches. We clinked our glasses and drank. Here was the new Carlsberg. The old Carlsberg was a slightly unusual—but quintessentially Scandinavian—brewery. It was founded by JC Jacobsen, the son of a brewer, and the contours are similar to breweries of the era. The 19th century was the period when industrialization and lager-brewing conspired to create enormous markets. Those who, like Jacobsen, could harness new technologies to produce large quantities of high-quality lager saw their businesses boom. Around the brewery today, Jacobsen (usually referred to as “JC” to distinguish him from his son) is treated like an avuncular presence who might at any moment stroll into the room. His story is well known to employees, and when I interviewed Besenbacher, he rattled off the high points almost as if clearing his throat. But Jacobsen did something early on that wasn’t like other breweries. In 1876, he established a philanthropic foundation that would support the work of the recently created Carlsberg Laboratory and Danish research in general. 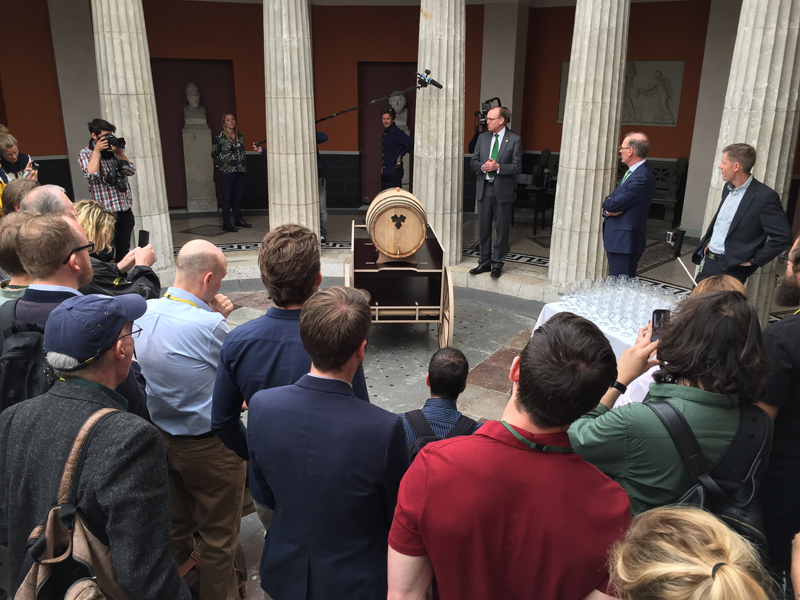 Its board was—and still is—composed of five professors selected by the Royal Danish Academy, and funds from the brewery support its research. More interestingly, as the decades rolled on, JC started to doubt his son Carl’s capacity to run the brewery. Rather than turn over the keys to Carl, he actually put the Carlsberg Foundation in control of the brewery in 1882, cutting him out of the ownership. The foundation has also supported the work of physicist Niels Bohr, Danish astronomy, archeological research, work in the natural sciences and, more recently, work related to global warming. When we visited, different researchers showed us work they were doing on developing drought-resistant barley as well as further inquiries into hops and yeast. All of this is admirable and noteworthy, and seems to embody that Scandinavian ethic of the public good. But the core business has always been beer. As brewing markets nationalized and then internationalized, Carlsberg grew. After wartime interruptions, it expanded globally. It started by licensing a brewery in Cyprus in the early 1960s, added its first international brewery in Malawi and then merged with Copenhagen’s other big brewery, Tuborg, in 1970. New international breweries followed in Malaysia, the U.K. and Hong Kong. The Americas were already dominated by big companies, so Carlsberg turned east around the turn of the century. (The U.S. is such a marginal market it doesn’t even appear as a line item on Carlsberg’s annual report.) Carlsberg was already a major player in Western Europe, but decided to invest heavily in Russia. As oil prices soared and the Russian economy grew, this appeared to be a smart move. In 2010, Eastern Europe accounted for nearly half the company’s revenue—but then the oil market tanked and the Russian economy hit the skids. The brewery is now looking at the market in Western China to revive its fortunes. In the game of big beer, the world looks like a chessboard, with countries dotting the map like squares, their locally made beer companies pawns for the toppling. Carlsberg now brews around 102 million barrels (120 million hectoliters) annually. Of that, Western Europe accounts for 42 percent (43 million barrels), Eastern Europe for 27 percent (27 million barrels) and Asia for 32 percent (32 million barrels)—but of these, Asia grew by 8 percent last year, Western Europe was flat, and Eastern Europe crumpled by 14 percent. Those numbers have raised warning flags, and overall, sales were slightly down. It is currently the fourth-largest beer company, and will be third, behind Heineken, after Anheuser-Busch InBev (AB InBev) merges with SABMiller. 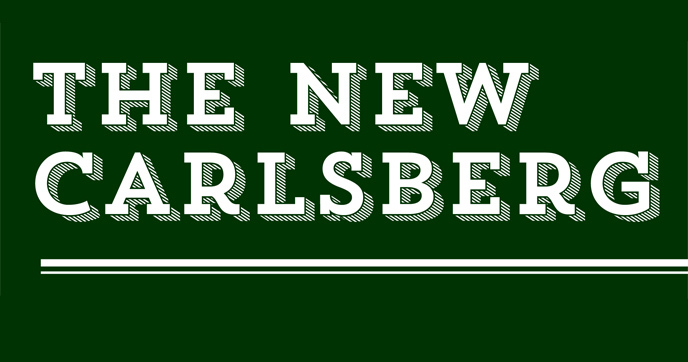 With the growing dominance of AB InBev and its late entry into China, Carlsberg has been plotting its next move. 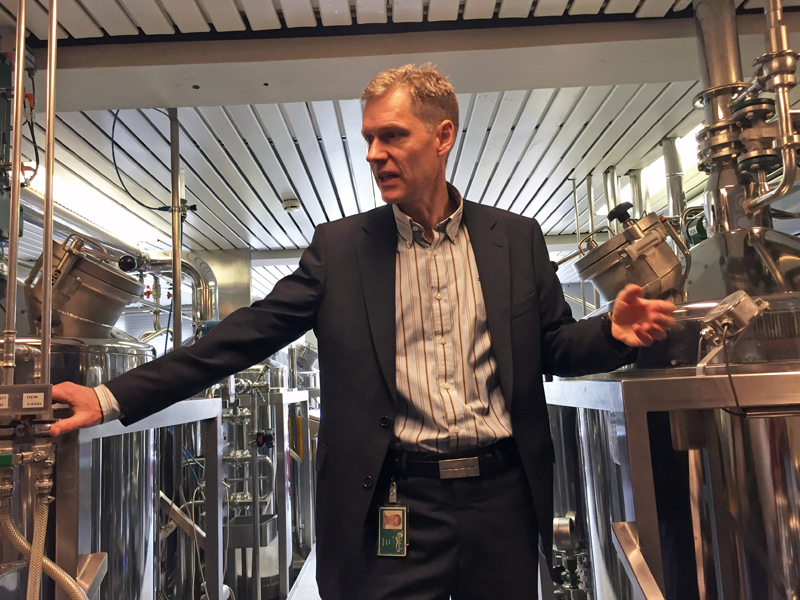 In 2015, Carlsberg brought in a new CEO, Cees t’Hart, formerly CEO at the Dutch dairy company FrieslandCampina. This marked a turn in strategy. Instead of viewing the globe as a series of different brands all making light lager, t’Hart plans to streamline operations and move toward the future of beer—craft brewing. (Although the term has an ambiguous meaning, Carlsberg is thinking of the small-brewery approach and the craft beer segment of the market when it uses the term.) This is not actually new for Carlsberg—the brewery has been making craft beer for over a decade—but it may be entering craft brewing with more conviction than other large beer companies. Carlsberg may be the fourth-largest company, but with just 6 percent of overall beer sales, it has lost the race against AB InBev, which will soon account for nearly one-third of the global beer market. Taking craft seriously is probably the best move. Whether it can actually pull this off is the big question. Other breweries in Copenhagen don’t seem convinced. Henrik Papsø of Amager Bryghus says, “We have never been invited to use Carlsberg’s research facilities, and we haven’t heard of any other breweries that have.” None of the other six breweries I spoke to have been invited, either. Most are not especially impressed with Carlsberg’s early foray into their territory. “My best guess is that this is a way for them to approach craft breweries in order to understand what is happening and what this ‘craft thing’ is about,” says Tore Gynther at the gypsy brewery To Øl. “Carlsberg has not done a whole lot for the community that is not mostly in their own commercial interest,” affirms Søren Wagner of Croocked Moon. So what about that special “Rebrew” they flew me 5,000 miles to try? It was … all right. I imagine beers of the past to be like this—brownish and heavy, sweet and undercarbonated. It had a bit of woodiness from the oak it had been sitting on for a week, but didn’t have much beyond that to recommend it. Fine, but bland and forgettable. It was probably off-message, to boot. The future for breweries like Carlsberg is probably not filled with bland lagers, brown or pale—it will be their success in appealing to a wider swath of beer drinkers. I’ve always liked the Carlsberg products we get in the US, but admittedly haven’t had any in quite some time. Back in the day, loved drinking “Elephant” which was pretty different from anything else available.